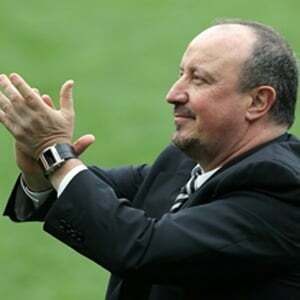 Cape Town - Newcastle United manager Rafa Benitez believes their lack of transfer funds is hampering the club's chances in the Premier League. The Magpies fell to 14th in the standings after Saturday’s 3-0 defeat to Watford, their fourth loss in a row, and Benitez has now blamed the off-season transfer business for their league woes. "The reality is that if you want to sign a striker who can score 20 goals every year, it is £40 million. An average striker is £20 million or £30 million," Benitez said. "We didn't do that, so we are where we are. We have to compete against Huddersfield, Brighton or Burnley, but we couldn't compete against those clubs and sign the players they were signing. "We couldn't pay the prices they were paying or the wages they were offering." Newcastle’s signings included winger Jacob Murphy from Norwich City for £12 million and Spanish striker Joselu from Stoke City for £5 million. "This group of players can manage if we stay calm and continue in the same way," Benitez added, after the team was booed in their defeat to the Hornets. "Our fans know where we are and why we are here. We have had a difficult month. We knew that before. "We have 14 points and are in a good position. Are we happy? No, it could be better – but it could be worse. If it gets worse, keep on going." The Magpies are in Premier League action on Tuesday, facing West Brom at the Hawthorns.